Super Savings Item! Save 37% on the Uncle Mike's Large Rectangular Pistol Case by Uncle Mike's at Freedom from Government. MPN: 52271. Hurry! Limited time offer. Offer valid only while supplies last. This durable nylon case features foam padding, carry handles and a full length zipper that allows the case to fold open flat and serve as a gun rest. 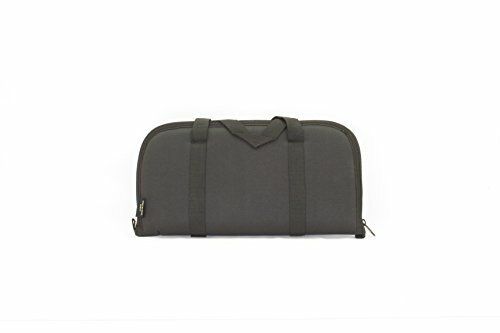 This durable nylon case features foam padding, carry handles and a full length zipper that allows the case to fold open flat and serve as a gun rest. Convenient drop-in-protection for your handgun. Rugged 600-denier padding. High-density foam padding. Web-reinforced spine adds strength. Lockable zipper pulls, lock not included.